It's a nice Osprey picture and is at least something. I found an unknown bird this morning but a passing jogger bellowed loudly for an unknown reason and the bird flew. I gave up with nothing. Joggers..............almost as bad as hikers or dogwalkers. and cyclists, don't forget them ! A great in-flight shot! 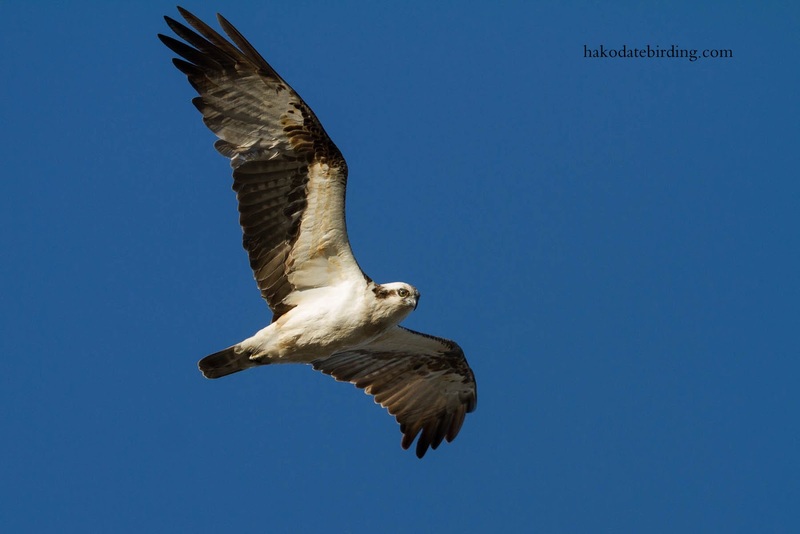 Seeing an osprey would make my day! Thanks for the coment Karen, I'm lucky they are so easy to see here in Hokkaido. Good job you didn't give up before this beauty came along. great bird, great in flight shot and pose.